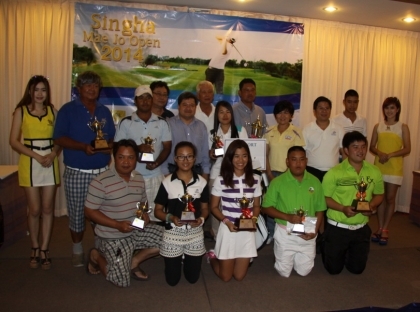 * Professional Golfers can recieve only Overall Low Gross Trophy. Rules : Use R&A and Local Rules. All driver and club grooves are permitted. Different Putting balls are permitted. For Singha Chiang Mai Open 2014 Tournament.